Palestinians are currently experiencing escalating violence from the Israeli military (yes, more than usual). Less than a month ago Hadeel Hashlamon, a 19 year old female college student, was shot multiple times at an Israeli checkpoint in Hebron. She was left to bleed on the ground before Israeli soldiers later dragged her body away (but not before taking naked pictures of her and posting all over social media). In solidarity with those killed and in honor of International Day of Action today, we're sharing 4 beautiful ethical brands that showcase Palestinian art and culture and support struggling Palestinian women (most of whom are living in inadequate refugee camps). So basically, long story short—they are totally rad. Not to mention that Palestinian embroidery is incredibly intricate, beautiful, and all done by hand. Usually, this is the recipe that creates quite the dent in your wallet, but at Women in Hebron, this is not the case. From jewelry to backpacks to carpets, their products are incredibly affordable for most budgets (just $10 for a "Women Can Do Anything" Bag!? *swoon*). Also bonus points for the feminist paraphernalia. 2. ALL THINGS MOCHI | founder and designer Ayah Tabari, who was born and raised in Palestine, travels the world working with impoverished embroidery communities in order to share their tradition and handicraft on a global scale while simultaneously creating jobs for women trying to bring themselves out of poverty. Each piece from her Palestinian line embodies bright and colorful traditional Palestinian embroidery in east-meets-west-yet-not-disgustingly-orientalist cuts and shapes. Although her pieces tend to sit at the higher-end of the price range, Tabari’s work is ethically produced and works to raise the standard of living and well-being of struggling Palestinian women. So like, it’s pretty worth it. 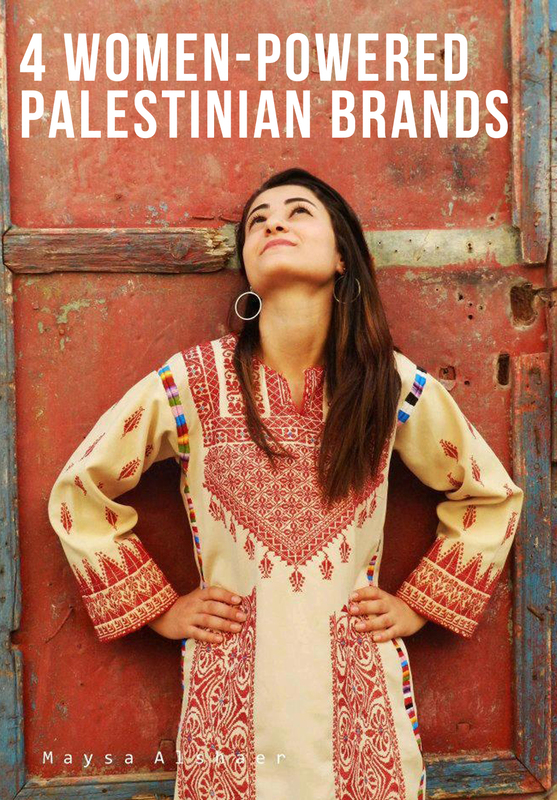 That same year Chaaban launched Palestyle with the intention of creating a luxury brand that would not only create job opportunities for women in the camp (let’s just say they didn’t have the highest employment rate in the world) but also showcase that Palestinian aesthetic that everyone so likes to appropriate. Proceeds from Palestyle also go back into the camp in the form of renovation projects: recently they’ve been working on expanding the availability of clean water for the refugees and installed a water pumping system at the camp’s school, among other developments. "Each piece of embroidery tells a story. These pieces are handmade, and have been revived from older pieces that represent various phases of our tumultous history and a changing, yet resilient cultural heritage. They tell the story of Occupation, dispossession, and the Palestinian Diaspora. By that same token, they tell the stories of celebration of life and the rich history of the villages they come from." The pair of designers travel to villages and refugee camps around Palestine to bring alive various local narratives through their distinct fabrics and embroidery styles and patterns which they incorporate into their clothing. 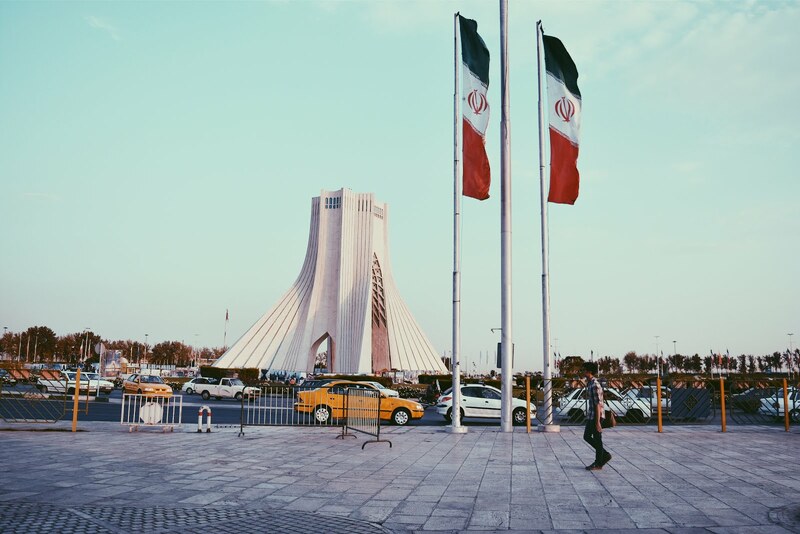 Every thobe, skirt, and pair of pants at Ibra Wa Khayt is totally unique. Just like the stories they tell and the women behind them. Fashion can be a powerful tool of self-expression, empowerment, and social change. What does your clothes say about what you support?